This photo was taken on the very first day of my world trip, in Bogota, Colombia. My camera battery had died, so I used my iPhone to snap this shot, and completely forgot about it until this morning when I was scrolling through old photos! 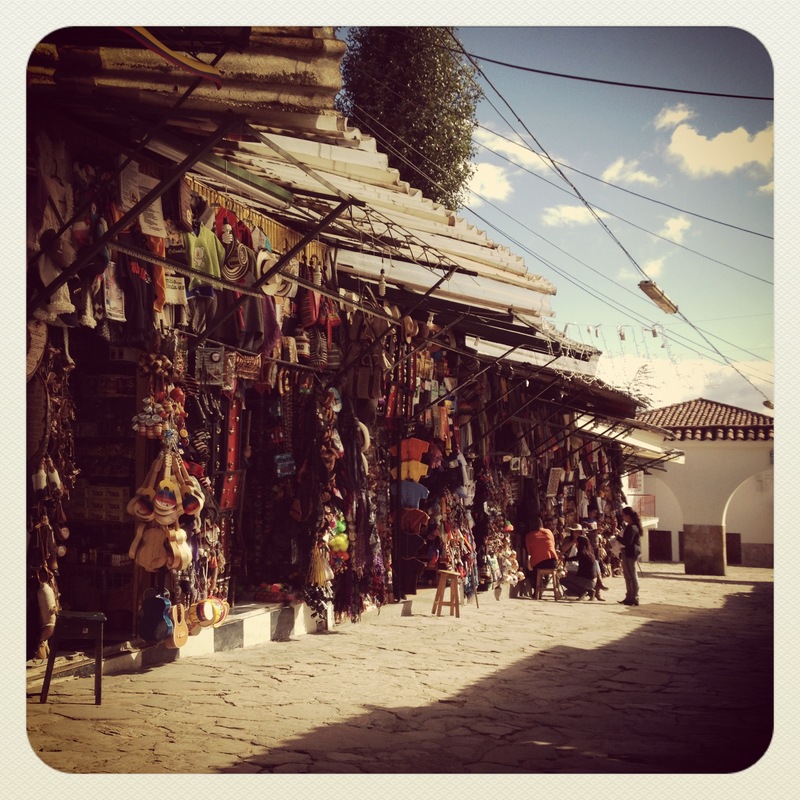 Perched high above Monserrate is a market, with handicrafts, souvenirs, and snacks. My new friend (and tour guide!) Diana bought Aguapanela for Bharat and I to try. Aguapanela is a traditional Colombian hot drink made from concentrated sugar cane syrup. We had the Canelazo variety, which contains cinnamon and aguardiente. We sat on old plastic stools around the drink stand, and shared the Canelazo between us, as we talked about our lives in different corners of the world. It was one of my favorite travel moments of all time, and a great way to kick off the trip. What’s one of your favorite travel moments? Related post: Bienvenidos a Colombia!